Crash's Landing and Big Sid's Sanctuary, is a nonprofit, no-kill cat shelter, located in Grand Rapids, bringing together both cats and volunteers. “It means everything to me.” These were the resounding words that were expressed by Sara Youngman, Sharon Wylie, and Sarah Klawiter. Three out of over 200 volunteers at Crash’s Landing & Big Sid’s Sanctuary. They were picking cat hair off of their shirts as they spoke, a common activity here as the shelter is home to over 100 free-roaming cats. Crash’s Landing & Big Sid’s Sanctuary, is a non-profit, no-kill cat shelter, located in Grand Rapids that started on October 21st 2002, by veterinarian, Dr. Jen. The mission is to take in unwanted, abandoned, and neglected cats, and to give them a second chance at life. 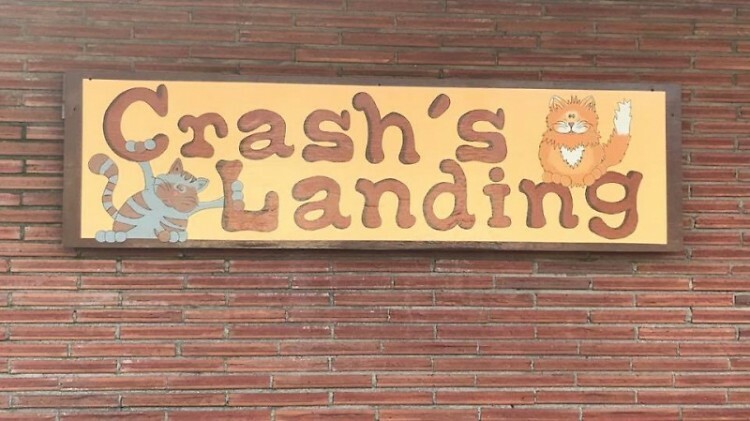 The backstory behind Crash’s Landing & Big Sid’s Sanctuary actually began with a crash! Big Sid’s Sanctuary is one of the largest in the nation that takes in cats that test positive for FIV (Feline Immunodeficiency Virus) and FeLV (Feline Leukemia Virus). FIV and FeLV are viruses that can suppress a cat’s immune system if they flare up. 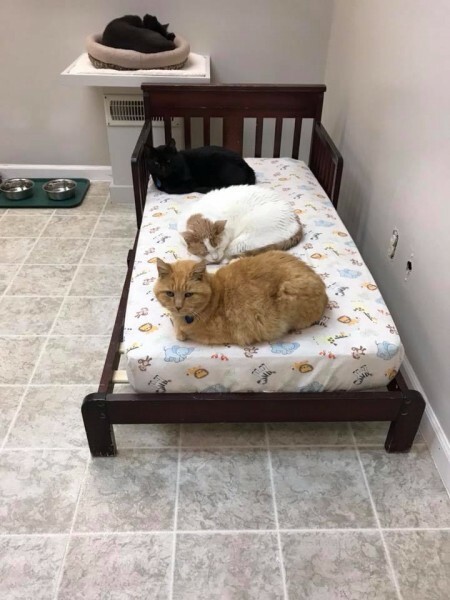 These are by no means a death sentence—and these cats would love to be adopted and become a part of your home just as any other cat at the shelter would. Isa, an orange and white tabby mix, is just one example of a cat given a second chance at life. She was found wandering around a residential neighborhood in Rockford in July of 2016. After being rescued, it was discovered that she was completely blind! She is not adoptable, but is considered a permanent resident at the shelter. She loves to sit on the volunteers laps and enjoys numerous cuddles. The shelter continues to be a safe haven for these cats because of the hardworking volunteers, and the dedicated donors, that keep this place going day after day. 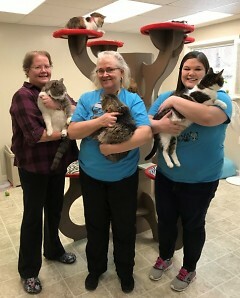 Sara, Sharon, and Sarah all happen to have six cats of their own, and hold director roles here at the shelter. Sara Youngman is the director of intake and returns. She is responsible for the phone calls and emails the shelter receives in response to taking in cats. She has been with Crash’s Landing since September 2015. She had donated to Crash’s Landing and even adopted a cat from them prior to volunteering. It was always her intention to volunteer after she retired. “I fell in love with the place, it’s very difficult to explain how I feel. I like being a part of something,” she says. Sharon Wylie is the director of communications. She is in charge of the team that handles the shelter’s social media, and hiring people to do the graphics. She has been volunteering with Crash’s Landing since Labor Day of 2012. Also retired, and with her children moved out of the house she was searching for something to do with her time. She saw Crash’s Landing on Facebook and inquired for more information. She soon became a volunteer after learning all about it. “Everybody here has the same common goal,” she says. Sarah Klawiter is the president. She leads the board of directors and is in charge of helping to make the big decisions at the shelter. She has been volunteering since 2011. She began volunteering at Crash’s Landing because she needed volunteer hours in order to graduate from high school, and she never stopped. “I became attached to the cats, the people, and the organization,” she says. Falling in love with a cat is easy, falling in love with an organization can be harder. At Crash’s Landing & Big Sid’s Sanctuary, they connect with both the volunteers who help run it, and with the cats, creating the perfect environment for all.